A little girl without a keepsake box? It's unthinkable! 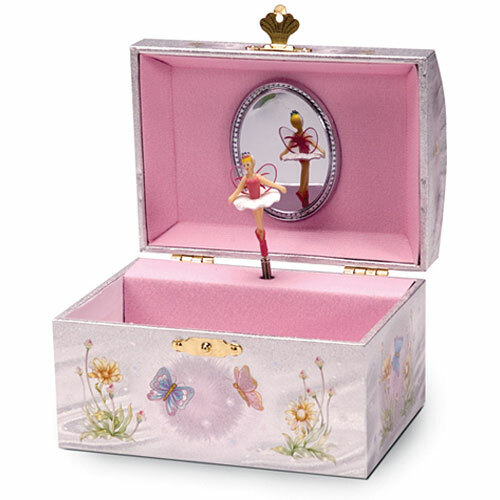 This sweet Iridescent Fairy Jewelry Box is a memory maker. Open it and a delicate ballerina fairy is awakened from slumber, twirling to the classic music of Swan Lake. Measuring 4"x6", the treasure box shimmers in the light and closes securely with a clasp. What a meaningful gift for the sweetie pie in your life.